One of the best things about Jasmine and Grace is Jasmine and Grace together. 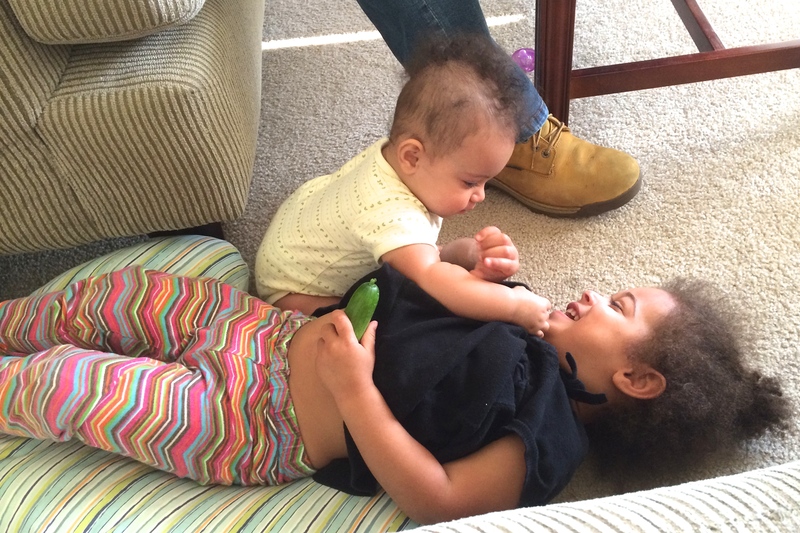 Jasmine is great with the baby, and the baby clearly adores her big sister. Grace lights up when Jasmine sits down to play, and Jasmine has a special gentleness she seems to reserve for Grace and Grace alone. I’m sure my daughters will fight as teenagers, but I’m grateful for their friendship now, especially when my husband and I are so busy and tired from language training and car buying and grocery shopping and all of the little time sucking tasks that add up over the course of a week. I worry sometimes that we don’t spend enough time with either child these days, but I remind myself that one of the reasons that we decided to have two kids is so that they’ll have each other.